Saté is one of Indonesian traditional delicacies. It is a dish of marinated, skewered and grilled meat. 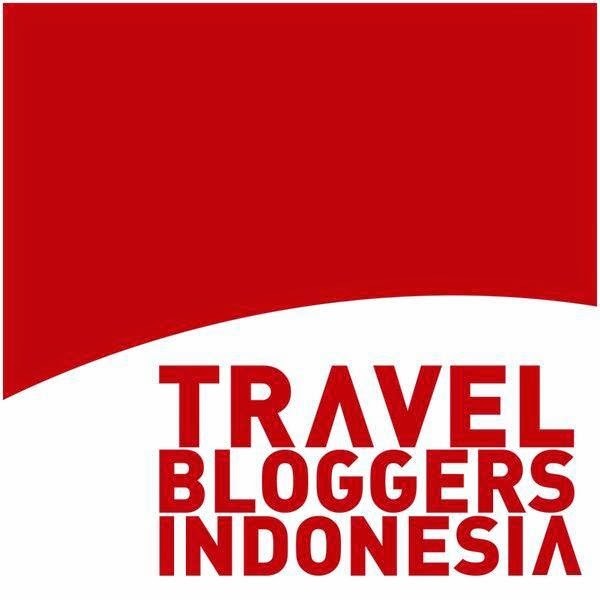 It's a very popular in Indonesia, you can find it almost everywhere from traditional satay cart on street to 5 stars restaurant. 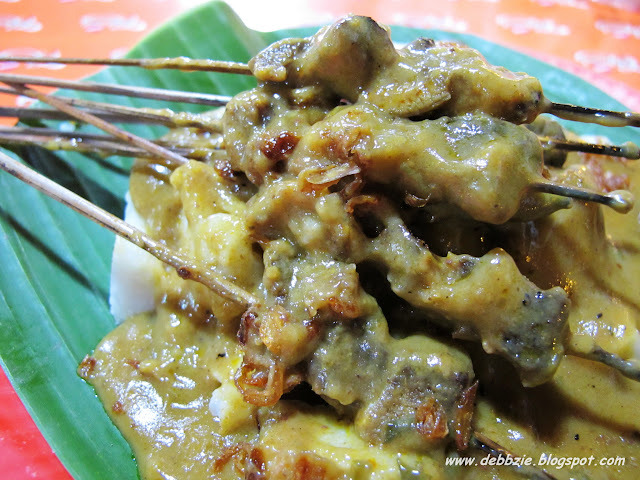 It's been said that Indonesia has the richest variations of satay in the world, usually named after the region its originated, the meats, parts or ingredients its uses, also the method of cooking. Meat commonly used includes beef, mutton, pork, venison, fish, shrimp, squid, chicken, rabbit and tripe. Some have also used more exotic varieties of meat, such as turtle, crocodile, horse, lizard, and snake meat. 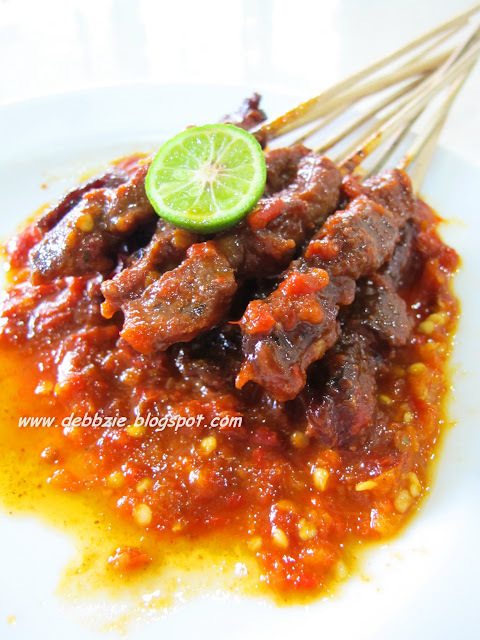 Sate Plecing is named after the sauce, which made from chilies, shrimp paste, tomato and a dash of kaffir lime juice. It tastes quite spicy, sweet and a little bit tangy. 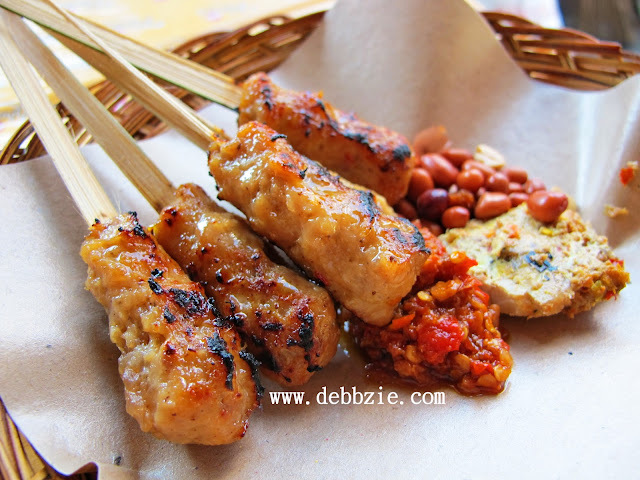 Sate Babi is popular among the Indonesian-Chinese community. It's marinated with the mixture of garlic,shallots, sugar, salt, pepper, soy sauce and etc. Serves with sweet soy sauce, chili slices and a dash of lime juice. Sate Lilit is originally from Bali. Commonly made from minced fish which is then mixed with grated coconut, thick coconut milk, lemon juice, shallots, and pepper. 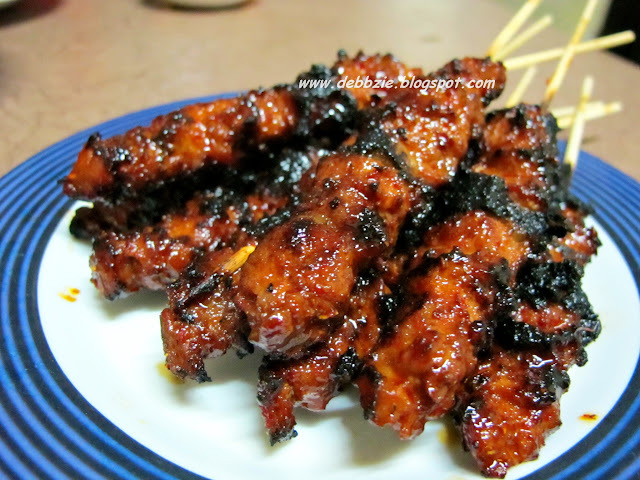 Wound around bamboo, sugar cane or lemon grass sticks, it is then grilled on charcoal. 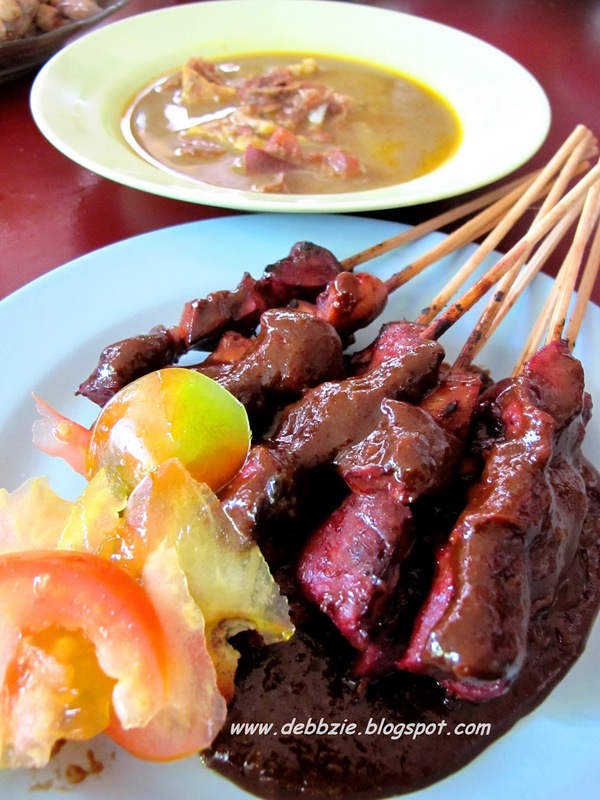 Sate Padang is named after an area in west Sumatra. It uses beef, boiled in spicy broth then grilled. The yellow sauce is made from rice flour mixed with spicy offal broth, turmeric, ginger, garlic, coriander, galangal root, cumin, curry powder and salt. 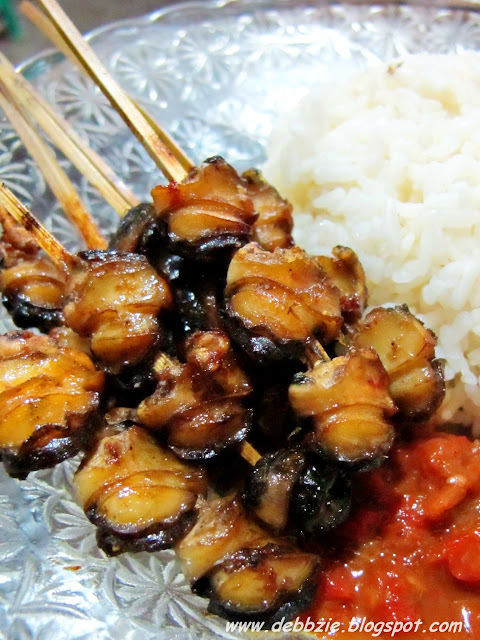 Sate Kakul, the Balinese term for freshwater snail which normally lives in the rice fields. It's marinated with the mixture of shallot, garlic, salt, palm sugar, ginger, etc. Can be served with plecing sauce. Sate Kambing is different than other satay because it's not usually pre-seasoned or pre-cooked. Raw lamb is skewered and grilled directly on the charcoal. It is then served with sweet soy sauce, sliced shallots, and cut-up tomatoes. 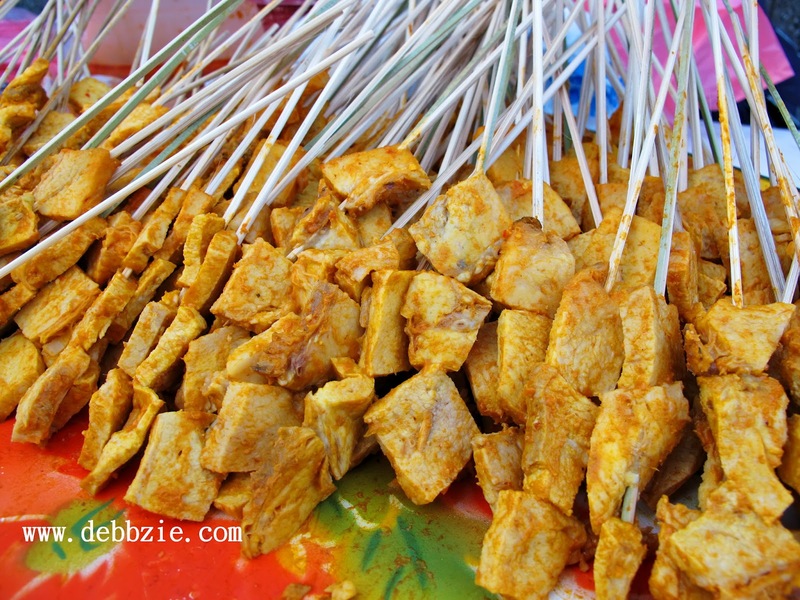 Sate Ayam is made from sliced marinated chicken meat. The sauce is the mixture of sweet soy sauce, palm sugar, peanut paste, garlic, deep fried shallots, shrimp paste and salt. I think sate ayam is the most popular and can be found easily almost everywhere, specially in Java island. 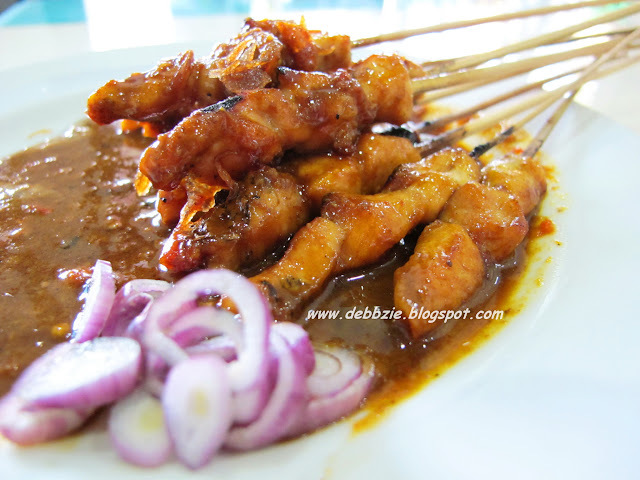 Which one is your favorite satay ? 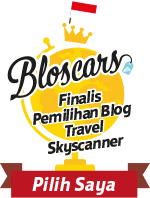 mau bisnis yg oke dulu ah biar bs travelling kyk mba debbi...heuheu.. I love satay but I had no idea there were so many ingredients to make them taste so good. I learned a lot just from reading this. When I am in Jakarta in May, I will definitely try some of these flavors. I had too many favourites when it comes for sate. But I finally could enjoy sate without hassle on making them in my kitchen when I visited Indonesia last May such as sate padang, sate ayam madura, sate ayam ponorogo, sate komoh, sate kambing, sate lilt Bali. 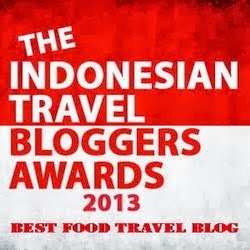 I also tasted mushroom sate in Yogyakarta. 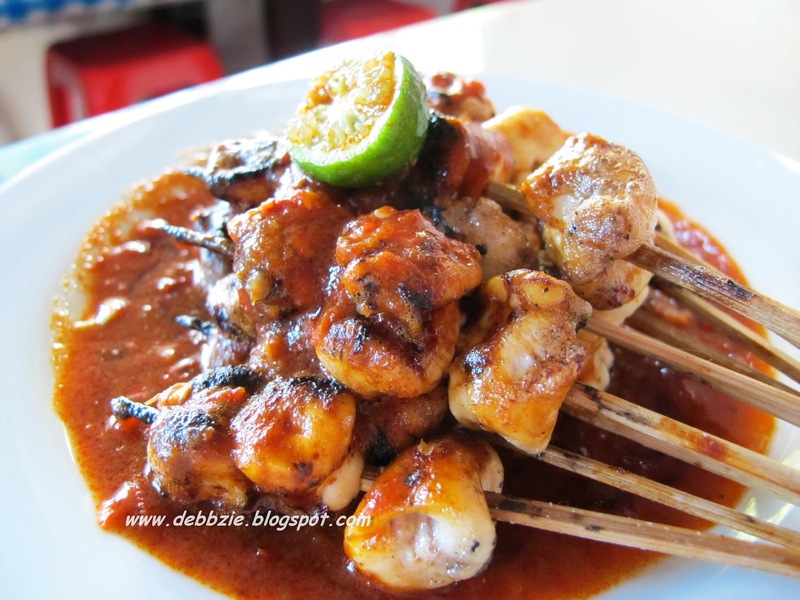 Sate ayam Madura is my all time fave too!